Sean Tallow has only two overriding desires in life. One is to step into the shoes of his glamorous friend Daniel Pagett, and the other is to establish the truth about the School of Night, a shadowy group of Elizabethans who clustered around Sir Walter Ralegh. Tallow pursues the School of Night and its entanglement in the question of whether the man from Stratford-on-Avon could really have written the plays ascribed to William Shakespeare. If he didn't, then who did? 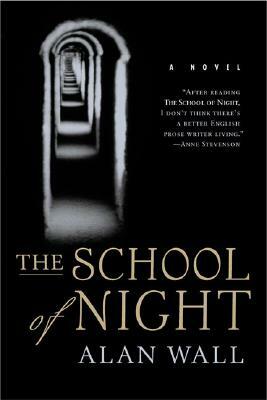 The harder he studies, the less light is thrown on this troublesome question, and the more his interest in the School of Night becomes a grim fixation. Just when it seems Tallow is ready to give up the quest, day becomes night and everything he once believed is turned on its head as he enters a fearful world where there are no longer any rules except survival. Like the original members of the School of Night, he finds himself treading on the wrong side of the law. Description: Very Good - Condition. Binding tight, pages clean with tanned edges. Lightest edge-wear. Nice copy!